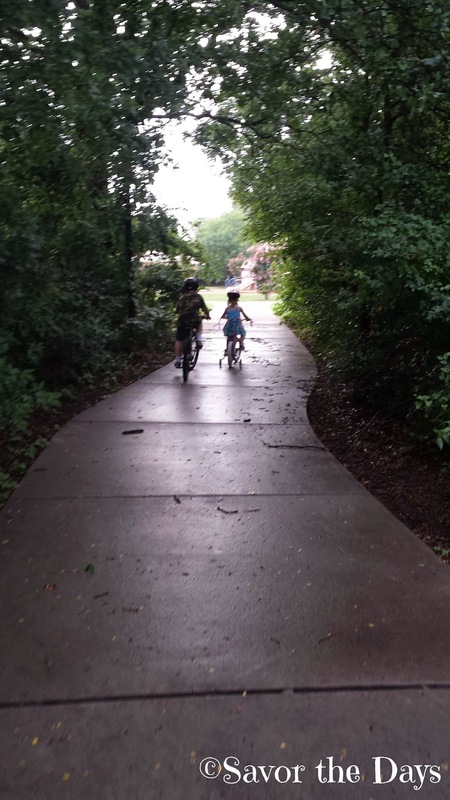 After the rain yesterday the kids couldn't wait to get back outside. 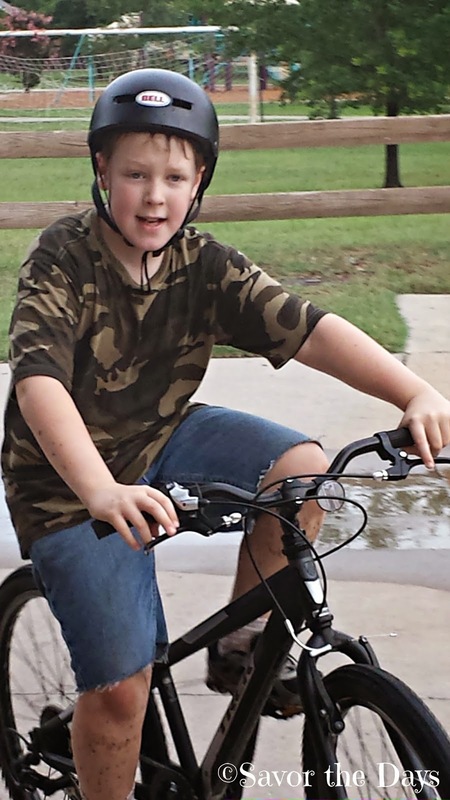 The rain had cooled things off so while Daddy was at the theater working on the set for the upcoming play, The Hobbit, the kids and I took a ride to the park down the street. It turned out to be an amazing little outing. We talked about little things we discovered and by the end of the trip we realized that we had experienced the world around us with all five of our senses! 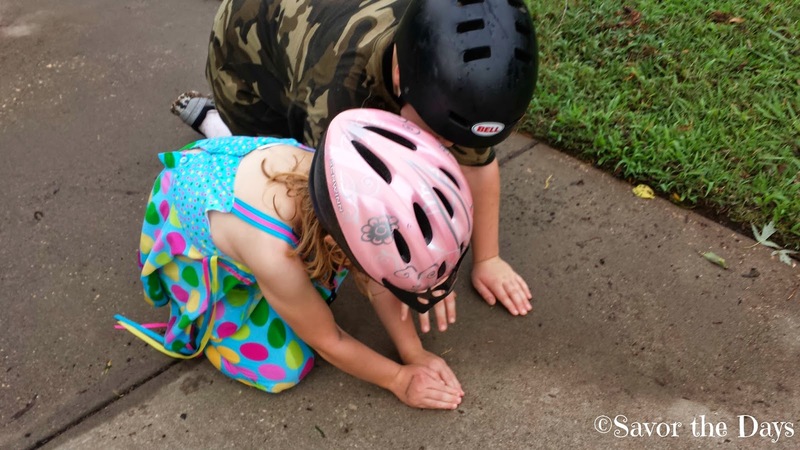 Rachel wanted to ride her bike through some puddled water at the end of a driveway. 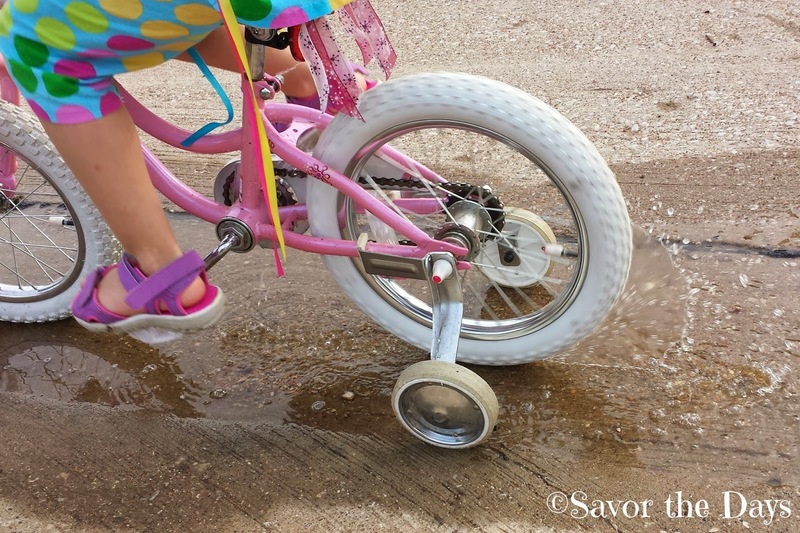 As she went through it, her training wheels were on a higher ground than her back tire so when she peddled the back tire just spun and spun through the water. It looked cool as it splashed water up in the air but Rachel particularly loved the "zzzzz" sound it made so she giggled and did it again and again and again. 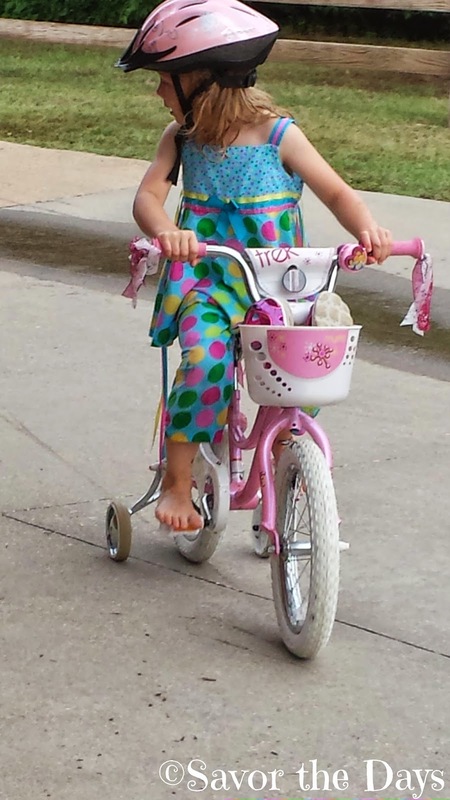 My sweet little girl loves her girly bike! 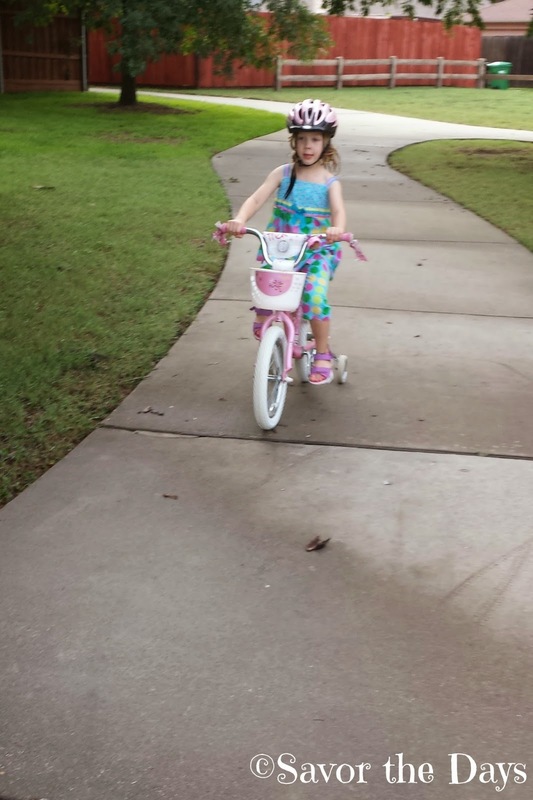 We really need to work with her on getting rid of those training wheels but she had no interest in that right now. Oh, I love this little playground. So many great memories of my kids playing here for days on end, especially as itty bitty toddlers. We have always sat here and listened to the birds in the trees (as well as a few planes that flew overhead). 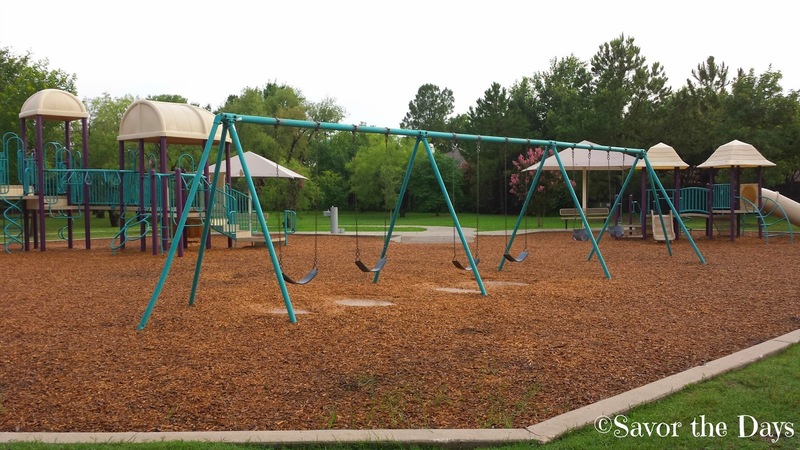 The kids don't play on the playground as much anymore. They like to explore so we headed back to the woods. Nicholas enjoyed hearing the swish of the water as he ran through it. 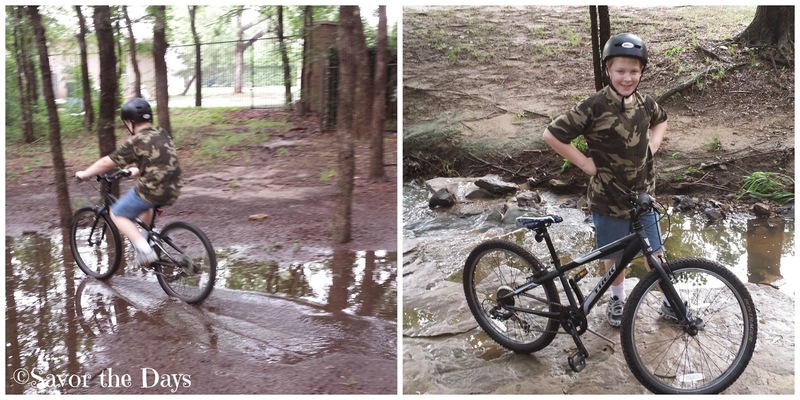 Then he decided he wanted to put his bike down in the creek and see if he could ride through it. Mommy had to nix that idea. 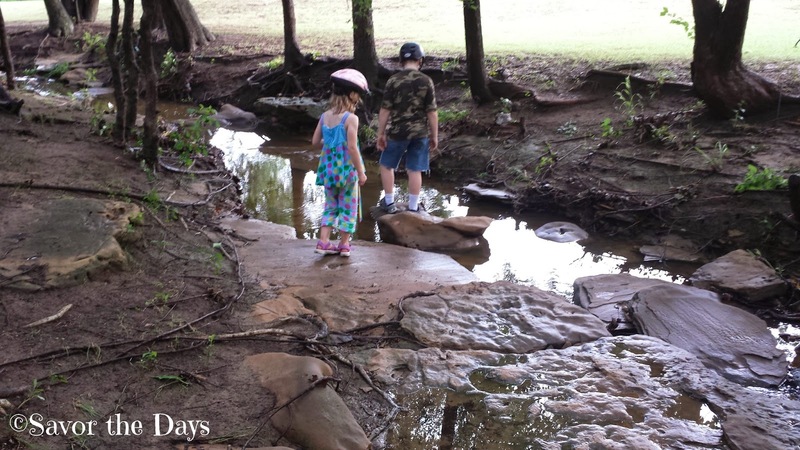 So they climbed around in the creek on the rocks - their favorite thing to do here! 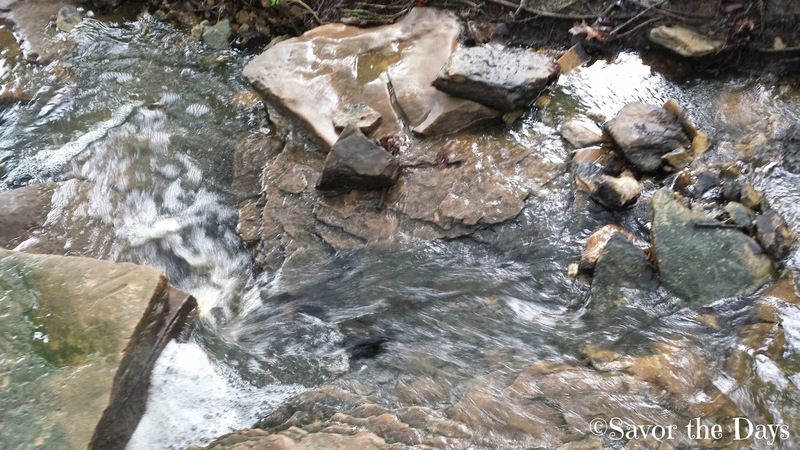 With the rain earlier in the day, the creek was actually flowing rather quickly in some spots. It was fun to watch and hear the running water. But the rains also brought out the mosquitoes - OUCH! So we quickly made our way back out of the woods. The kids went to the playground. 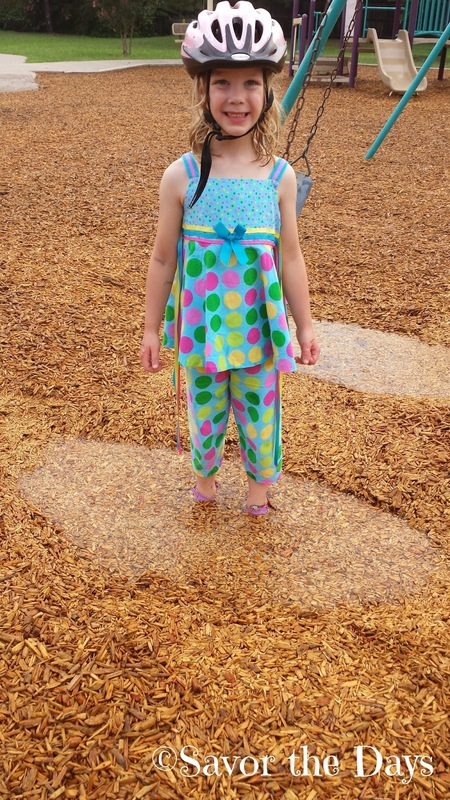 They discovered the mulch had made a weird pattern in the corner of the playground. 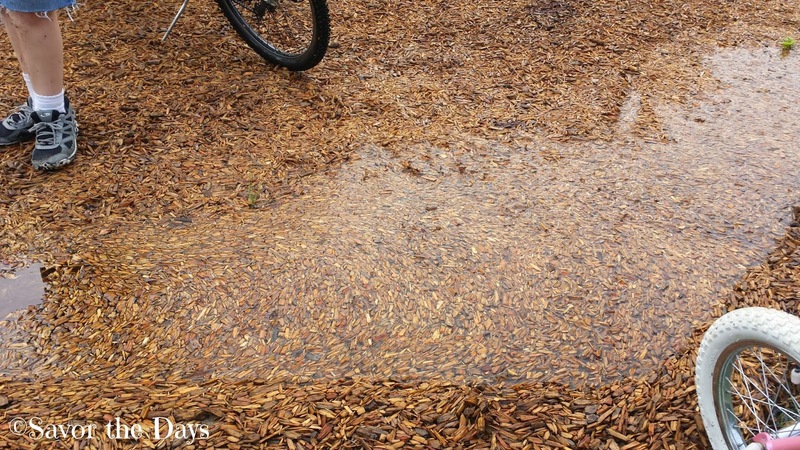 The rain water wasn't draining in this spot so the mulch was floating a little bit on the surface. It was really neat to look at. But of course, they had to step in it to really complete their scientific studies of this newly discovered wonder. 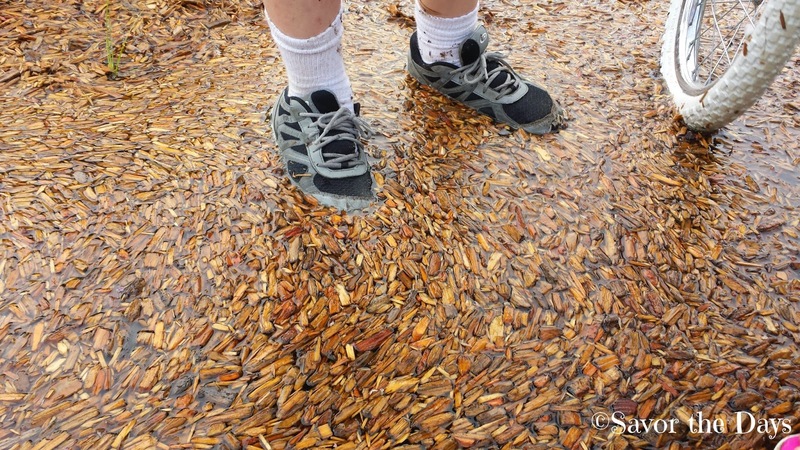 Oh, the feeling of wet feet never gets old for my kids! 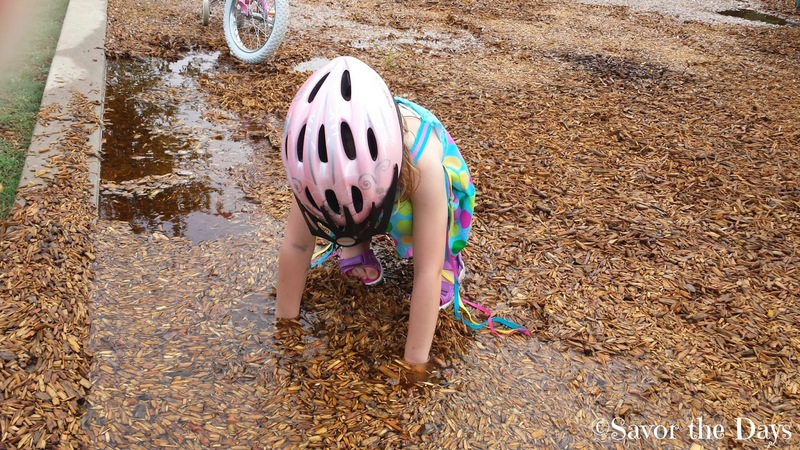 Rachel enjoyed feeling the water and mulch as she squished her hands through it. The mulch also seemed to have a stronger smell when it was wet. It was almost up to her ankles! 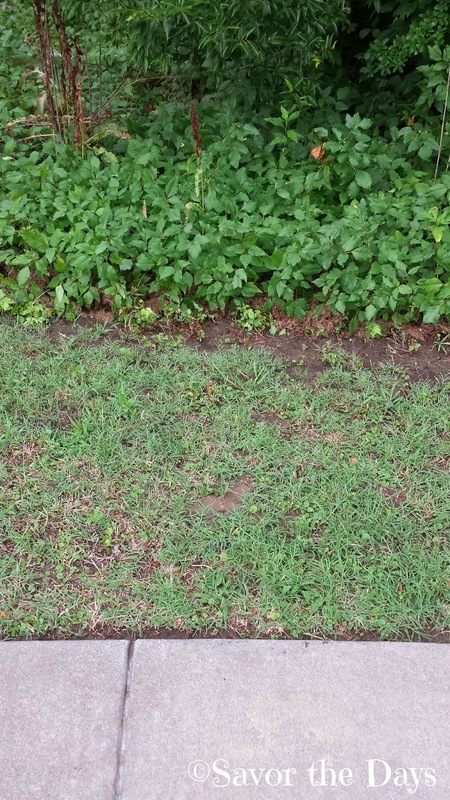 One thing that I've always disliked about this park is that the open areas are lined with dense poison ivy. If a ball gets away from us and rolls into the bushes, we just leave it because it isn't worth traipsing through the poison ivy to retrieve it. Fortunately, this has also helped my kids to learn what poison ivy looks like it so now they can both identify it easily on their own. 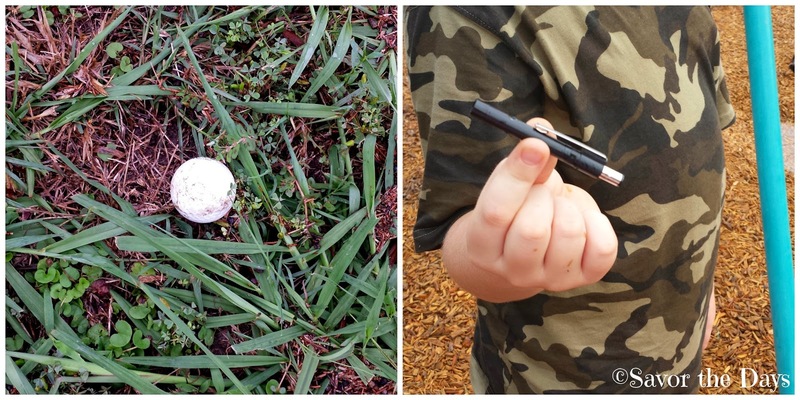 We found a few unnatural objects that had been left behind by previous visitors such as a golf ball and a part of a pen. 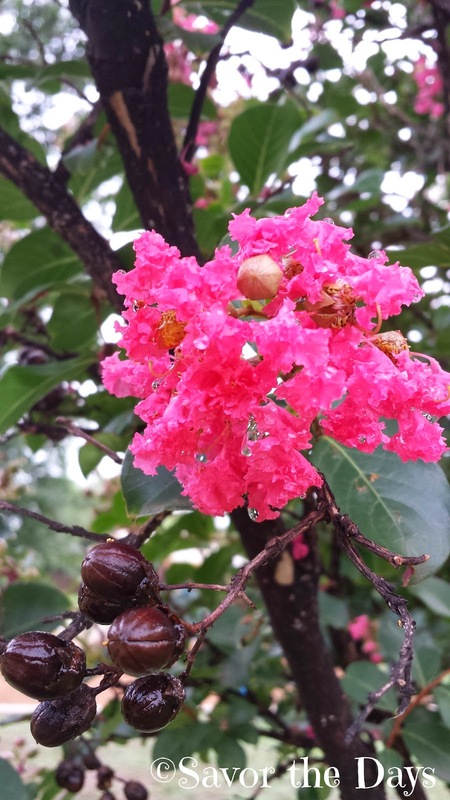 We looked at some beautiful blooms on a crepe myrtle tree and noticed rain drops dangling from the petals. Everything looked so clean and shiny after the rain. Even the air seemed to smell better. We started heading out of the park and I noticed the big juniper tree was covered with rain drops that were just about to drop. It was so beautiful the way all of the drops sparkled in the light. I showed Rachel and then decided to get playful and tap the branch to make a droplet fall on her. 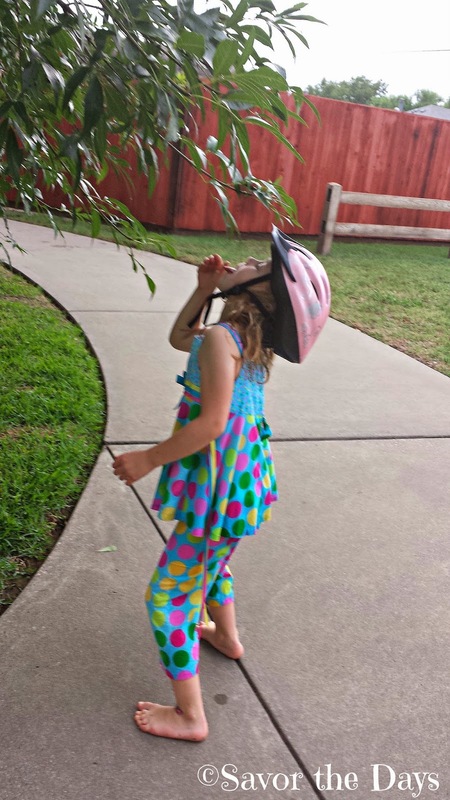 She loved it and asked me to do it again so she could try to catch a rain drop in her mouth. She said it tasted great! 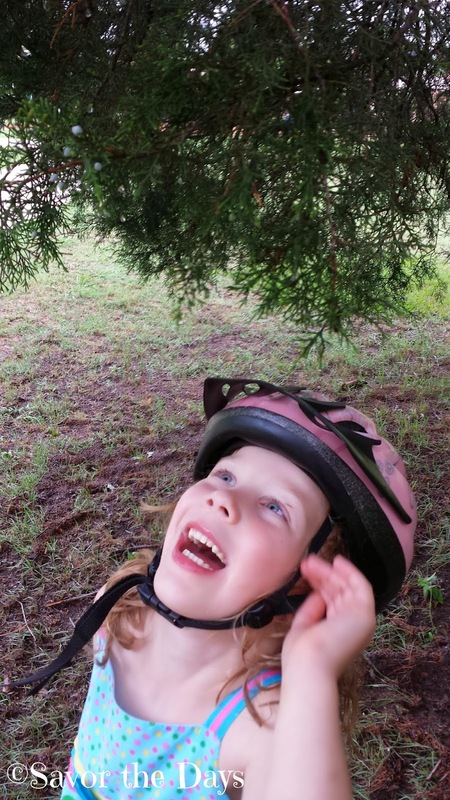 We must have looked crazy as we all went around the juniper tree shaking branches and trying to catch rain drops in our mouths! Rachel even tried it with a few other trees although the juniper was the best one to do this with. 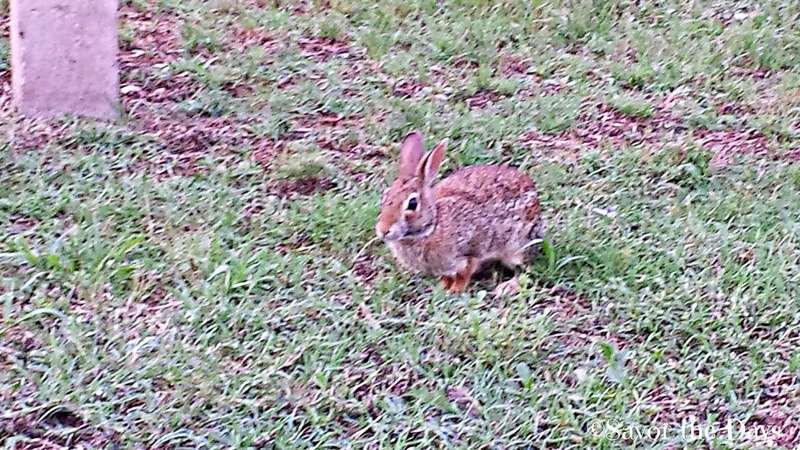 Of course, we saw a few bunnies scampering around. Our neighborhood is really infested with bunnies so it is no unusual sight for us anymore. 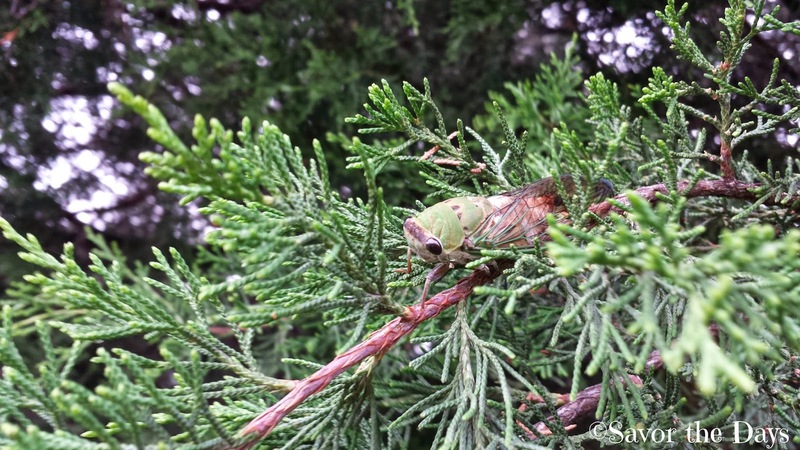 Nicholas discovered a cicada in the juniper tree. 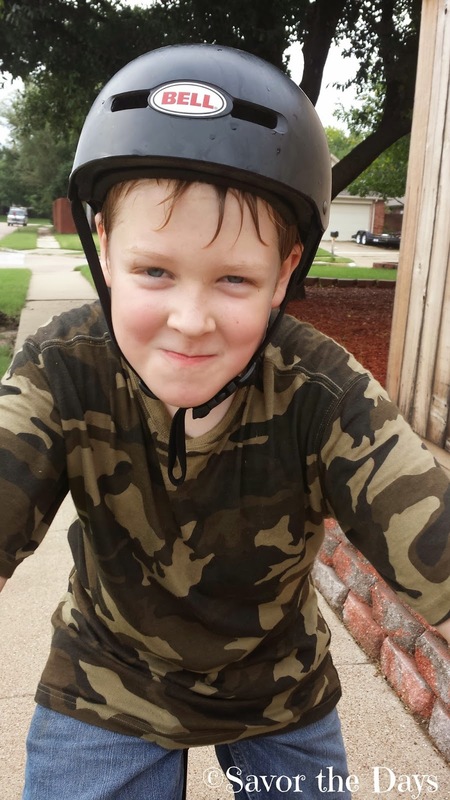 It was an amazing find since he camoflauges well with his surroundings. 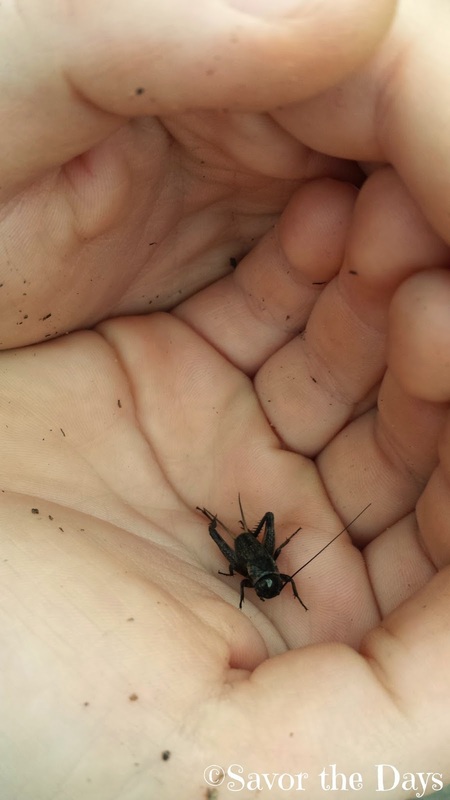 Rachel found this little tiny cricket. She tried to catch it but it got away. 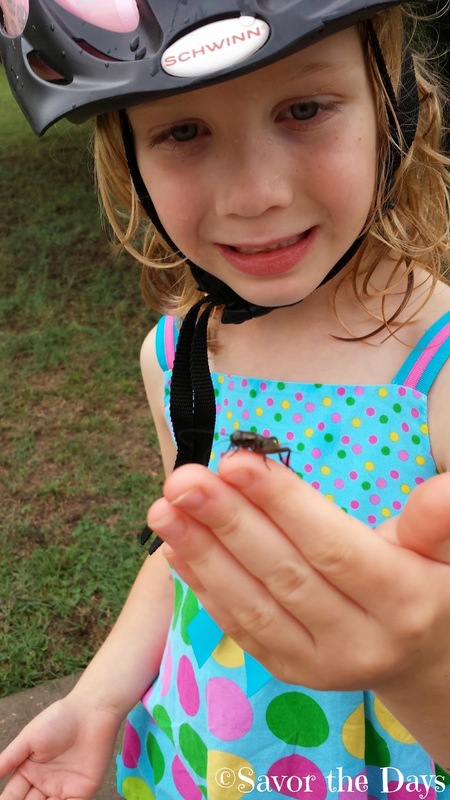 Have no fear - Nicholas the bug hunter is here! He quickly caught it so we could get a good look at it. He gave it to Rachel and she talked so sweetly to it before it hopped off of her finger. They tried to catch him again but he got away. Rachel decided to take off her shoes, surely because they were soaking wet. 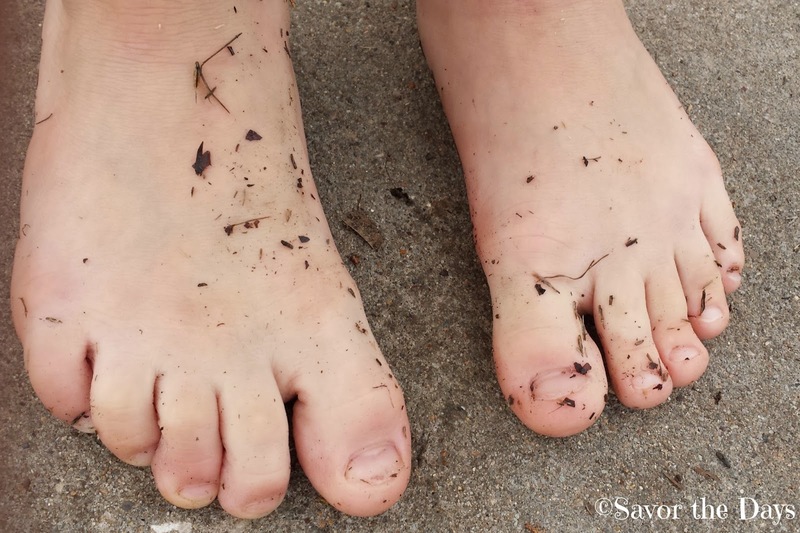 I love those cute summer feet - wet, a little dirty, and totally bare. That's the best way to enjoy summer. 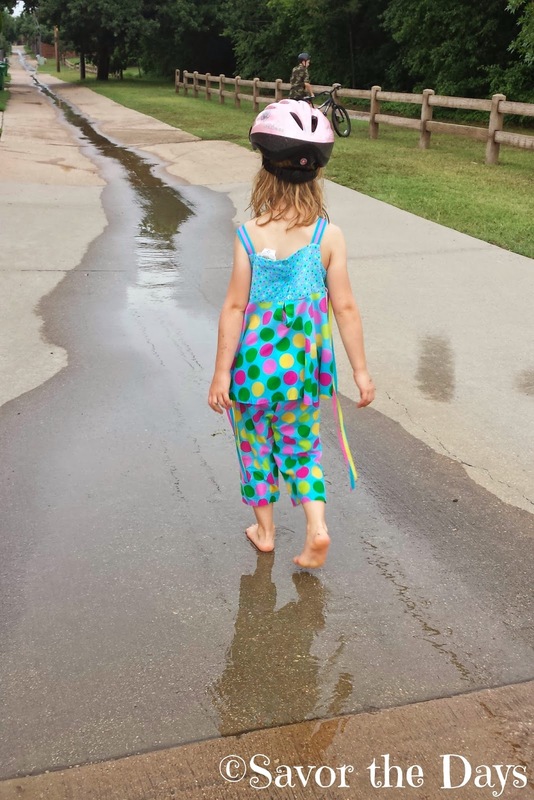 Of course, splashing through puddles is best done with bare feet. Time to head home for showers! Rachel hops on her bike but looks back to wait for big brother. They really look out for each other. Big brother made his way up to us, wet from play and from sweat. 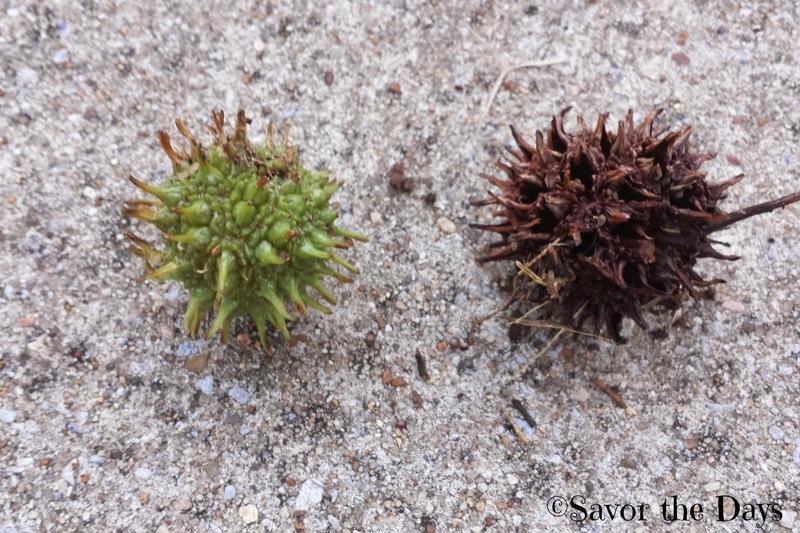 On our way home, we found some seed pods from a sweet gum tree. The dry brown ones are very common but we actually found this fresh green one on the sidewalk. How unusual to see and feel. It wasn't as pokey as the dry ones. My little guy asked if they could have popsicles when they got home. I stalled on my answer and just took his picture instead. Of course they had popsicles when we got home...and showers! What a wonderful trip to the park and I love that we used all 5 of our senses!